Our world and our churches are neither sinful nor lost, they are dead. This dead world is the one that God engages and into which Jesus invaded with a radically different vision of life. In this groundbreaking work, based on his 2011 Yale Beecher lectures, Brian K. Blount helps preachers effectively proclaim resurrection in a world consumed by death. 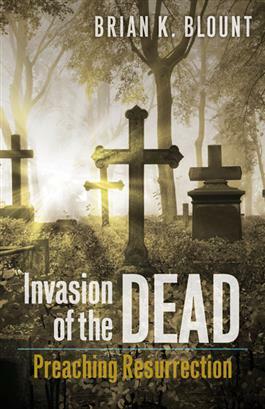 Recognizing that both popular culture and popular Christianity are mesmerized by death and dying, Blount offers an alternative apocalyptic vision for our time--one that starts with a clear vision of life that obliterates death and reveals life's essence. Blount explores the portrait and meaning of resurrection through the New Testament (the Book of Revelation, the letters of Paul, and the Gospel of Mark) and explores how to biblically and theologically reconfigure apocalyptic preaching for today. With three illustrative sermons, this book is an ideal resource to help preachers proclaim the power of resurrection.